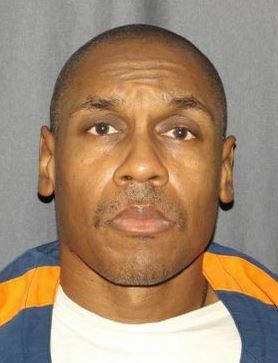 BERNARD YOUNG FREE AFTER 27 YRS: BOND, NEW TRIAL GRANTED; MORE INNOCENTS IN MICH. PRISONS? Where is the federal investigation of Detroit Police and Wayne County Prosecutor Kym Worthy requested after Sanford’s release? 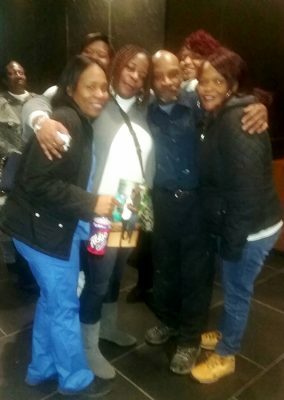 DETROIT – Bernard Young, 58, incarcerated for the last 27 years in Michigan’s prisons, joyously embraced family members on his release from Lakeland Correctional Facility after a judge vacated his sentence on six counts of molesting two young boys in 1988. He had been serving a term of 60-100 years. 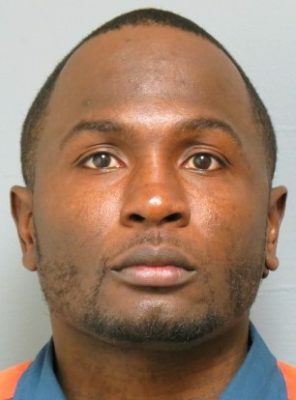 Third Judicial Circuit Court Judge Qiana Lillard ordered Young released on $5000 personal bond pending a new trial June 5 after his accusers recanted several years ago. One testified on his behalf during a court hearing last September. His legal team also produced evidence withheld by Detroit police that the two boys, 5 and 6, identified their stepfather William Clark as the real perpetrator long before Young’s conviction in 1989. “I’m his baby brother, we’re the last of the brothers in our family,” said Braxter Young, weeping after the court hearing. He and other family members jumped for joy in the courtroom after Judge Lillard announced that Young would go free that afternoon, then drove out to the Lakeland Correctional Facility in Coldwater, Michigan to accompany him home. For a heart-stopping moment, Assistant Prosecutor Abigail McIntyre had demanded that Young be sent instead to Wayne County Jail to be fitted with a tether pending a new trial June 5, as his family celebrated outside the courtroom, but Judge Lillard denied her request on resuming the bench. 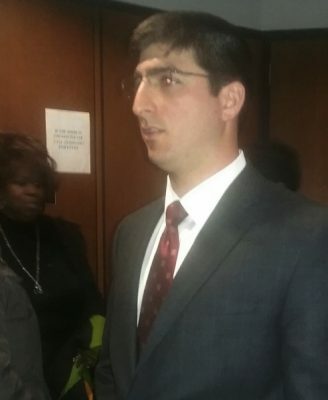 “Why can’t they do the right thing, and seek justice, not just get convictions all the time?” asked Young’s attorney Solomon Radner, of Excolo Law, after the hearing. 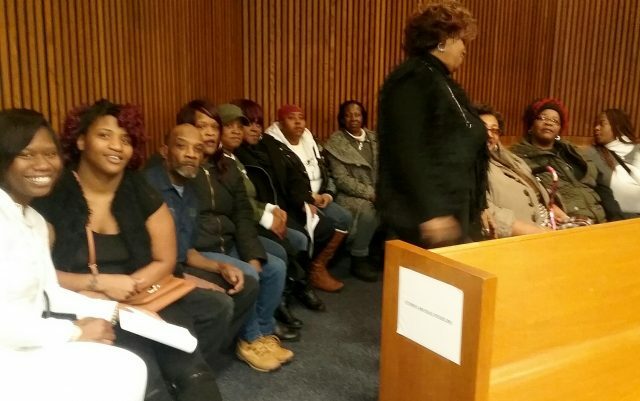 He cited the recent releases of falsely convicted Michigan men including Davontae Sanford, freed June 9, 2016 after nine years in prison, Lamarr Monson, granted a new trial in January for the murder of a 12-year-old girl after spending 20 years in prison, and Raymond and Thomas Highers, freed in Aug. 2012 after serving 25 years for murder. In Sanford’s case, Detroit police reports submitted the day after the infamous 2007 Runyon Street killings of four people indicated that eyewitnesses, including a woman who hid under the bed in the house, and a neighbor, said that the killer was taller and older than Sanford, 14 at the time. Hitman Vincent Smothers confessed to the killings shortly after Sanford was sentenced to 37 to 90 years in 2009. The DPD reports, available to Wayne County Prosecutor Kym Worthy, did not come to light until the Michigan State Police undertook their own investigation of Smothers’ hits. Whitman said she contacted the complainants and got written affidavits from them recanting their identifications of Young. One, Thomas Tadlock, testified about Young’s innocence in court in September, 2016. He is seen in the video below. Tadlock said he knew that Young, who had moved from his neighborhood before the cited abuse, had never touched him. The Detroit Free Press reported that Whitman also discovered that Clark had been charged with molesting the boys two months after Young was sentenced. Clark, who has since died, pled guilty to reduced charges, and got three years’ probation. The Free Press said the same assistant prosecutor, Kelly Ramsey, handled both Young’s case and Clark’s case, but said during last September’s hearing that did she did not remember whether the boys accused Clark before Young’s trial. During the hearing, Assistant Prosecutor Abigail McIntyre said Worthy’s office would go forward with a new trial, and would appeal Lillard’s ruling setting him free. They are also appealing Lillard’s decision not to require a tether. Judge Lillard denied McIntyre’s request for a stay without discussion, saying the prosecutor’s office could still obtain one on appeal. Radner had argued for the bond, saying Young had only four to five tickets during his 27 years of incarceration, none of them for violent offenses. 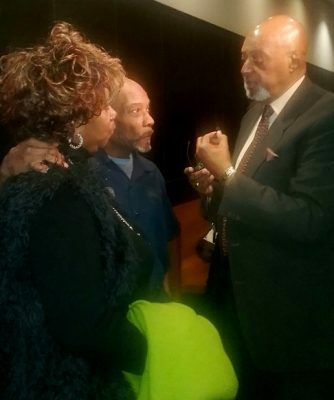 He said there is little likelihood of flight, since Young has a well-established family support system in Detroit. He added that Young had been before the parole board earlier and was given a chance at freedom if he confessed, but he refused to do so, insisting on his innocence. Young’s sister and brother, Rhonda Holman and Baxter Young, are interviewed by Bill Proctor of the Swift Justice Initiative. She acknowledged allegations that one of the victims had been threatened into recanting, and refused to come to Michigan from Florida to testify with his brother, but said the prosecution has time to investigate before the new trial. The need for such an investigation is even greater now. Other Michigan prisoners with strong innocence cases remain behind bars, including Charles Lewis, Michael Harris, and Darrell Ewing. Lewis, 57, will appear again in front of Judge Lillard Wed. Feb. 15 at 9 a.m. as part of a series of hearings related to the U.S. Supreme Court’s rulings in Miller v. Alabama (2012) and Montgomery v. Louisiana (2016) that juvenile life without parole is unconstitutional. His court-appointed attorney Valerie Newman of the State Appellate Defenders’ Office will formally withdraw from his case during that hearing. Lewis’ case file was completely lost, causing him to file a motion to dismiss his case based on U.S. Supreme Court and other legal precedents. Instead, Lillard ordered it reconstructed. Lewis has objected to the validity of that order, and to Lillard’s order to have Newman turn over the files he gave her as a violation of attorney-client privilege. He and his family strongly contend that he is innocent of the killing of an off-duty Detroit police officer in 1976. In a recent letter to Newman, Lewis said in part, “The defendant’s case will present a more complex factual determination that most juvenile cases. . . .This case involves the murder of off-duty officer Gerald Sypitkowski. It also involves two conflicting versions of how one man was killed on July 31, 1976 on the corner of Harper and Barrett Streets. One version is a lie and one version is the truth. The other witnesses in the Van Fleteren version of the killing backed his testimony at two different trials. Neither Lewis nor the three juveniles were seen at the scene by those witnesses. The driver of the Lincoln Mark IV was identified after Van Fleteren took down his license plate number, but released after a brief interview with then Detroit police sergeant Gil Hill. In one opinion, Judge Deborah Thomas said that Recorders’ Court Judge Joseph Maher’s dismissal of the jury after the first trial in March, 1977, claiming falsely that the defense had called for a mistrial, meant that Lewis should have been acquitted then and never re-tried due to double jeopardy issues. A DNA test recently proved that Michael Harris, convicted for the rapes and murders of four elderly women in 1981 and 1982 in Lansing, Ann Arbor, and Ypsilanti, was not the perpetrator in first of the series of killings, and in fact identified another man already on the FBI’s database of convicted offenders. Harris is still in prison after 33 years, and no arrest has been made in the first killing, although prosecutors know where the man is. 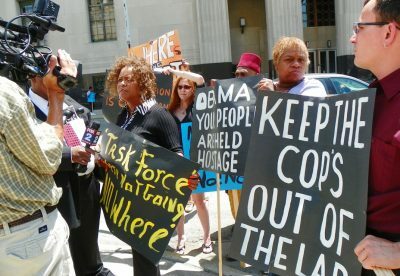 Marilyn Jordan of the Detroit Crime Lab Task Force speaks to media before meeting with U.S. Rep. John Conyers June 28, 2011. At right is Task Force co-chair Roberto Guzman. The MSP is now investigating how its crime lab handled all the Harris convictions. But Harris’ release has been stymied by judges and prosecutors in the three counties who have been dealing with his appeals. 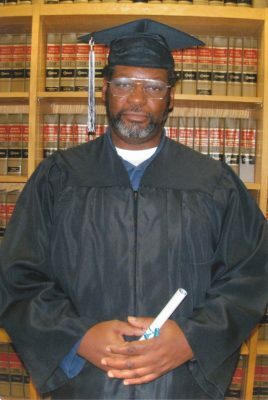 During Harris’ time in prison, he and several other prisoners and their families founded the Detroit Crime Lab Task Force, now known as the Detroit Coalition to Free the Wrongfully Convicted. They have fought numerous other cases of false convictions throughout the state. Harris has helped other prisoners in those cases as a jailhouse lawyer. Until his death several years ago, Crime Lab Task Force co-chair Kevin Carey worked tirelessly with Harris to exonerate those wrongfully convicted. Darrell Ewing, now 28, was sentenced to life in prison in 2009 for first-degree murder. 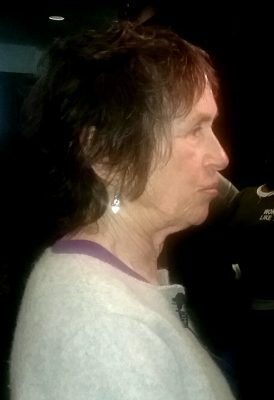 Dodson said her son was attending a funeral with her and his family at the time of the murder. Attorney Byron Pitts, who along with Allison Folmar represented Maryanne Godboldo, is representing Ewing on his appeal. Ewing’s co-defendant is Derrico Searcy. The Michigan Court of Appeals consolidated their cases, and later denied their appeals on various grounds. 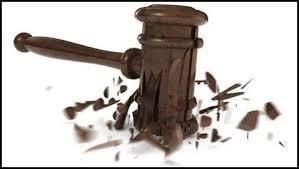 The Michigan Supreme Court refused to hear an appeal of the COA decision. “Washington indicated a willingness to waive his ‘Fifth Amendment rights of self incrimination’ and to ‘tak[e] full responsibility and consequences of my actions.’ In this instance, Washington’s assertion that he was the perpetrator of this crime is not newly discovered. Extensive testimony was elicited at trial from Christopher Richardson and LaJoia Stevenson indicating Washington’s assertions of guilt for the death of Watson. “Defense counsel was informed by the prosecutor that Washington was in federal custody and had implicated himself in this murder. Defense counsel was clearly aware of Washington’s proposed testimony at the time of trial and the information was used, in part, to buttress Ewing’s alibi that he was elsewhere at the time of the homicide. As such, it cannot be construed as newly discovered. People v Rao, 491 Mich 271, 281; 815 NW2d 105 (2012); Terrell, 289 Mich App at 567. The ruling also refers to a contention by the defendants that one of two Black jurors swore she did not intend to vote “guilty,” after hearing other jurors say they had researched the case on Facebook and elsewhere on the internet. As attorney Solomon Radner says in the second video at the top of this story, the judicial system indeed appears to be broken.